If you need a locksmith in National City or the greater San Diego area, our team of dedicated and knowledgeable staff is standing by to help you secure your home, business, or vehicle against intrusion. Equally important, all of our locksmiths have undergone extensive and ongoing training, and we are certified, insured, and registered. From locking our keys in the car to the occasional malfunctioning deadbolt, here at Noble Locksmith are standing by to answer any questions or concerns that you might have regarding how best to protect your property and loved ones. Security takes many forms, and we are professionals ready to advise you on how best to keep the most important things in life safe. National City, California residents know that help from Noble Locksmith is just a phone call away. Noble Locksmith is fully licensed, bonded, and insured. No job is too big or too small for our close attention to detail and superior customer service. If you are looking for a locksmith that National City residents trust, you want to call Noble Locksmith for the answers that you need. 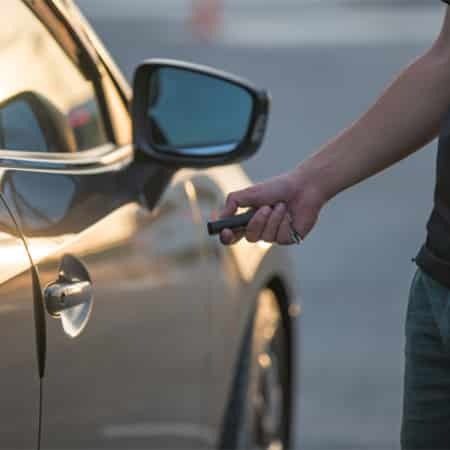 Here at Noble Locksmith, we are fully bonded, licensed, and recognized by the State of California to provide locksmith services all across the Golden State. The relationship between you and your locksmith is one that is based on trust, and our status as a licensed locksmith is an indication of that trust. As a 24/7 mobile locksmith serving the greater San Diego area, there is no job too big or too small for us to handle. Contact us today to discuss the full range of security options we can provide to help you to keep your home, car, or business. If you are losing sleep at night owing to fears about your family’s safety, you can call the trusted staff here at Noble Locksmith to help you put your mind at ease.